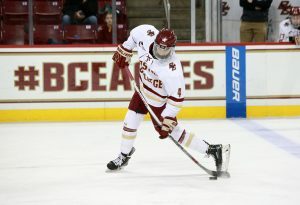 Seven underclassmen left Boston College men’s hockey for the NHL. On the women’s side, the Eagles lost six key contributors, including the top-two leading scorers in program history. Yet through all the adversity, both are still ranked in the top-five in the nation. Why? 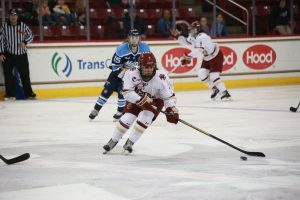 Because Jerry York and Katie Crowley have made Chestnut Hill the most desirable place in the country to play #cawledgehawkey. And their two teams are Locked and Reloaded with superstars (including the potential Hobey Baker and Patty Kazmaier Award winners) ready to dab on the haters. Center Stage Speed. Goofiness. A Flair for the Dramatic. All of these traits and more make Colin White the nation's most dangerous forward. 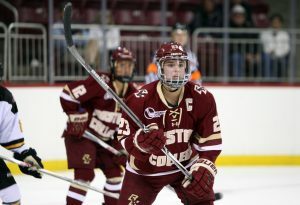 Captain Awesome With reliable production and a caring attitude, Andie Anastos is the hero Boston College women's hockey needs. Born Free Megan Keller is determined to give her friends a new most memorable story. It should be easy. She's the best defenseman in the country. 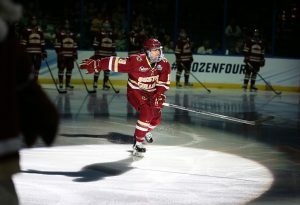 Brand Loyalty Chris Calnan exemplifies the new NHL and its relationship to college hockey. 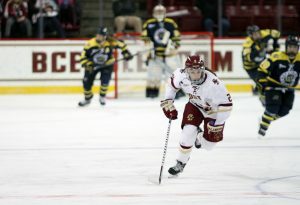 He also has the toughest job of any at BC: balancing captain life and Mod life. 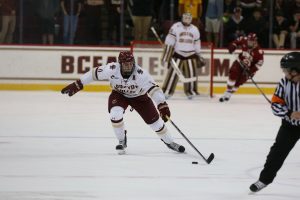 Sophomore Bump Katie Crowley will call on her sophomore class to step up and fill crucial roles left behind by Alex Carpenter and Co. Their success will determine the fate of Boston College women's hockey in 2016-17. Queen of the North Forward Kristyn Capizzano captained a team to glory before when she led Canada to U-18 gold in 2013. This year, she'll try to do it for Boston College.